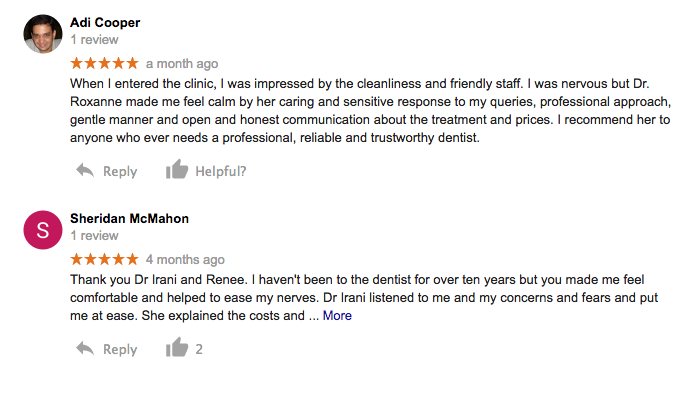 Our mission is to provide superior dental care in a professional, caring and comfortable environment. We believe in educating our patients and provide them personalised dental solutions. We are confident that our services and friendly staff will exceed your expectations and make you feel right at home. 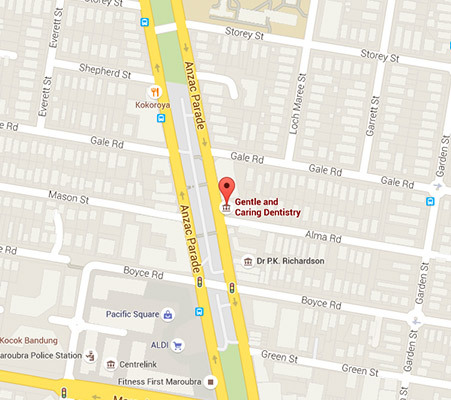 At Gentle and Caring Dentistry in Maroubra, our patients are our first priority. We understand that a visit to the dentist in Maroubra can sometimes be a bit daunting so we have made it our mission to provide a comfortable and pain relieving dental treatment experience. At our dental clinic in Maroubra, we are absolutely committed to providing our patients with the highest quality care at affordable costs and have invested in the latest technology to maintain this standard. When you visit us, you will receive personalized and individually tailored advice and dental treatment of the most exceptional quality in a warm, friendly and soothing ambience. Patients can be confident that each of our dentist team members shares the same passion as your family dentist in Maroubra for exceptional quality and utmost dental care. Your smile is one of the very first features others notice about you. At our dental clinic in Maroubra, as your family dentist in Maroubra, we offer a wide range of dental treatments that may be able to help you. From regular dental check-ups and fillings, porcelain veneers, teeth whitening or even a complete smile makeover, our compassionate staff at Gentle and Caring Dentistry in Maroubra have a range of dental treatments to suit your needs. If your smile leaves you feeling insecure, we have cosmetic dental treatments that may benefit you. Dental emergencies happen! If you find yourself in need of immediate dental treatment, contact our helpful team at Gentle and Caring Dentistry.